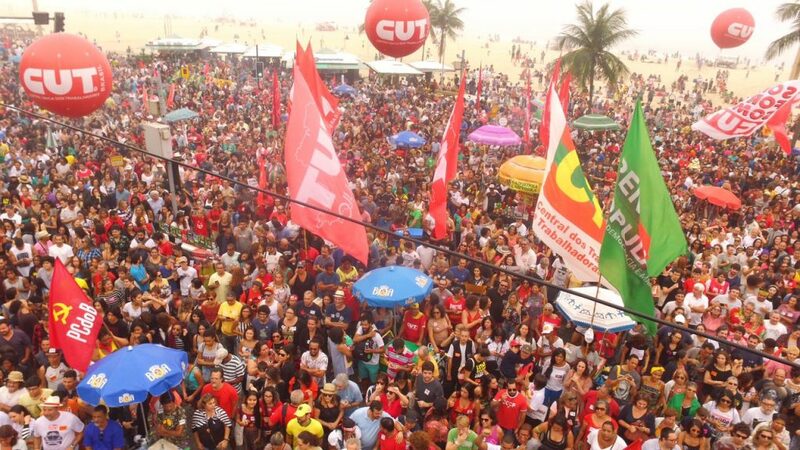 150.000 people participated this Sunday in a historical act for direct elections, at the Copacabana beach. 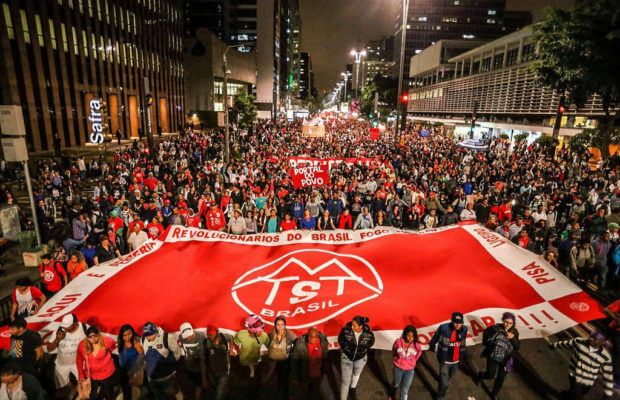 The protest was convoked by artists and organized by the Popular Brazil and People Without Fears fronts, initiatives that gather hundreds of popular movements, syndicate centrals and leftist parties. The manifestation began at 11am and the beach remained full until 7pm. The culminating point was at 5pm when Caetano Veloso and Milton Nascimento went up to the stage. THe objective of the manifestation was to push the National Congress to approve an amendment to the Constitution that allowed presidential direct elections as soon as possible. The actor Wagner Moura acted as a master of ceremony at the cultural and political event, which gathered great names of the Brazilian music, such as Criolo, Mano Brown, Maria Gadú, Martínez, Teresa Cristina, and parliamentarians, popular movements’ leaders, former ministers, etc. 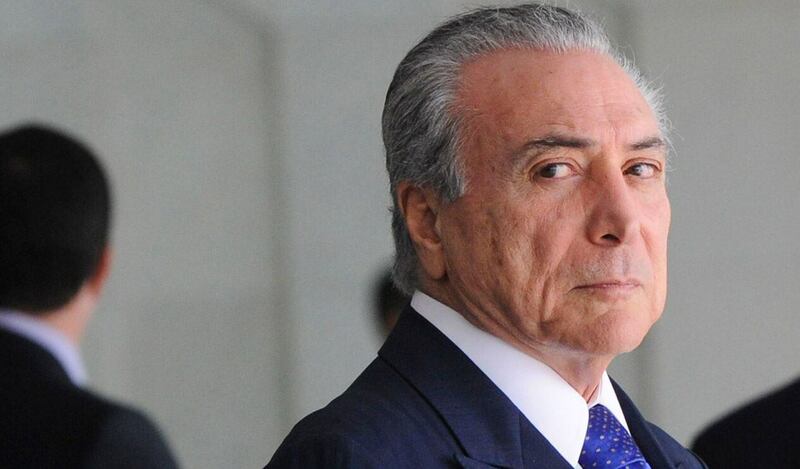 “It is not acceptable that Michel Temer is still President. It can not be an option that this corrupt Congress, abettor of the coup and with over 200 deputies investigated, chooses our next president. It might be legal, but it is not legitimate. We have the right to vote and we want direct elections right now. 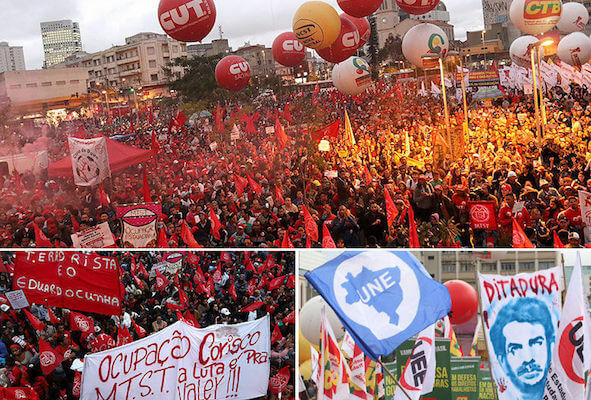 This is not a leftist nor rightist party, this is a celebration in the name of democracy”, argued Moura. Various artists made internet videos convoking the population to the manifestation and they also assisted to the protest. Among them we could see Antonio Pitanga, Camila Pitanga, Osmar Prado, Bete Mendes, Daniel de Oliveira, Gregório Duvivier, Sophie Charlotte, Zezé Motta, Maria Casadevall and many others. The actor Humberto Carrão, that has already participated in other acts in the defense of democracy, also went to leave his opinion: “People no longer bear this illigitimate government, and deputies can not decide who will rule the country next, because that Congress ignores what the society thinks and vindicates, that is why we shout today: Temer Out, Direct Elections Now!”. For the actor Daniel de Oliveira protesting in a moment like this is not just a right, is an obligation for those who want a better Brazil. “There was no way I would miss this event. It is our duty and right to directly demand direct elections. 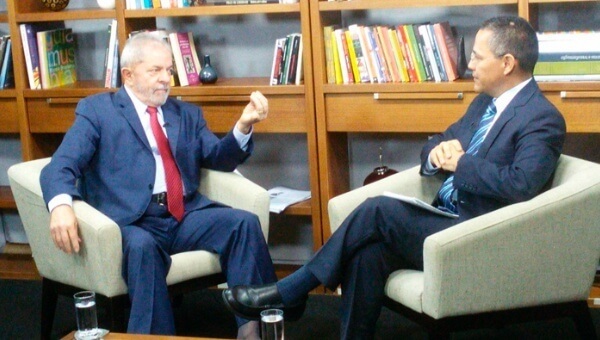 I believe that the people should chose who is going to be our president”, he highlighted. 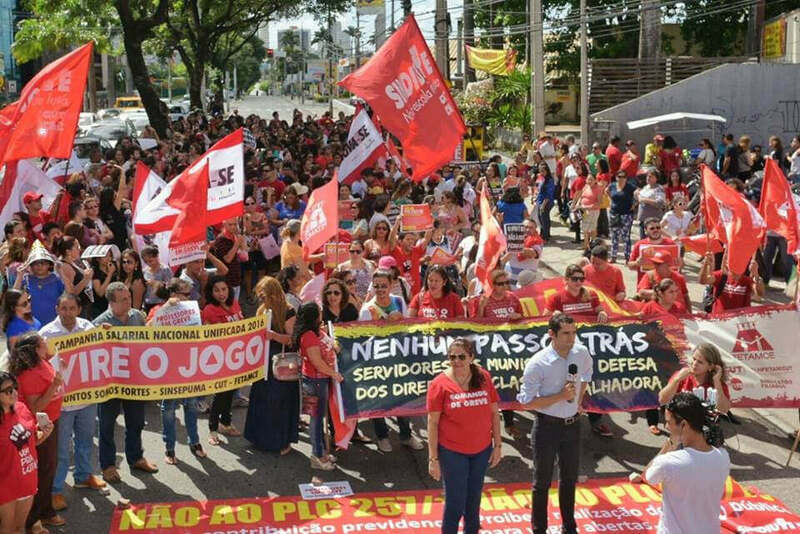 Among the people an indignation environment reigned due to the last revelations done in the prized denouncement made by the businessman Joesley Batista, of JBF. Dona Graciela de Oliveir, 70 years olds, comments why did she went to Copacabana to express herself: “I am here because the corrupt Congress expelled a democratically elected president to deliver our country and our economy to foreign interests. 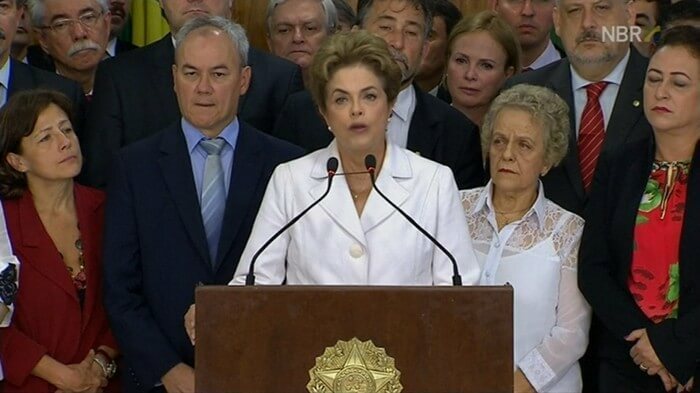 To cover the mistakes of the PSDB and of all of them who are against the people. That is why I came to protests”, she expressed. The images show a real ocean of people at the shore of Copacabana. This act may enter in the political history of the country as one of the main mobilizations that supported the “Direct Elections Now!” demand. In 1984, thousands of people also went to the streets to demand direct elections to move the military dictatorship that ruled the country.